When we think about international relations, we tend to consider first the power of states and states’ representatives. 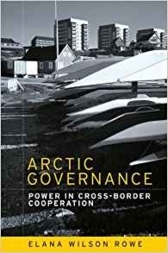 Many accounts of Arctic governance, however, acknowledge that non-state actors have exercised important influence at critical junctures in regional politics. However, we know little about the role of science and business actors in shaping outcomes in contemporary Arctic governance, despite the high visibility of these two sets of actors. POLGOV seeks to address this gap with two main research tasks. First, we will systematically assess how and why science and business actors' knowledge claims have gained purchase (or failed to do so) in two Arctic policy fields. Looking at policy developments in regional biodiversity politics and the development of oil spill prevention/response mechanisms, we trace change in how the policy problems have been understood over time (process tracing) and seek to map and understand relationships between policy field ‘players’ (network analysis). This work package (WP1) is carried out by researchers at the Fridtjof Nansen Institute. Secondly, POLGOV's work acknowledges that there will likely remain enduring 'governance gaps' in circumpolar environmental governance due to a lack of regulation or failure to implement existing international agreements and national regulation. Noting that concerns for reputation and positive recognition have facilitated 'races to the top' in reaching high standards in several other sectors, POLGOV's ranking exercise - 'the Arctic Corporate Responsibility Index' (ACRI)- takes up the challenge forwarded in the POLARPROG call to produce new tools for Arctic regulation. The innovative cooperation between business and expert actors needed to produce the ACRI also provides us with one further opportunity to reflect on and analyze the potential role of non-state actors in Arctic environmental governance. POLGOV researchers are still in an active fieldwork stage, with most of the academic publications from the project appearing in 2018 and 2019. In the meantime, our opinion and policy pieces thus far are available below, as well as write-ups of some of the events where the POLGOV team has been sharing early research results. Elana Wilson Rowe wrote about Norway's new High North policy (May 2017, in English). Christian Prip argued for the need for environmental protection of the Arctic ocean (February 2017, in Norwegian). Svein Vigeland Rottem discussed the capacity of the Arctic Council to meet new challenges (December 2016, in Norwegian). Christian Prip presented challenges to progress in global biodiversity politics (December 2016, in Norwegian). Elana Wilson Rowe wrote about the role of indigenous peoples' organizations in stabilizing Arctic politics in light of international conflicts outside the circumpolar region (October 2016, in English). Leif Jensen, Christian Prip and Svein Vigeland Rottem presented their early research findings at the Arctic Circle Assembly in Reykjavik, October 2017. Elana Wilson Rowe argued at Arctic Frontiers (January 2017) that the biggest risk for the Arctic is not conflict, but too little political cooperation - and funding- for the challenges that matter most for the region (in High North News in English and Norwegian). Svein Vigeland Rottem presented challenges and options for Arctic Council reform at a celebration of Finland's 100th anniversary at the Norwegian Parliament.